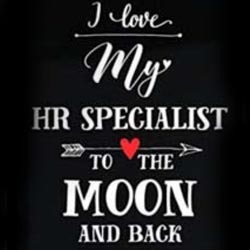 Why We Love HR And You Should Love It Too - Look At HR In A New Light & Perspective And Enjoy The Benefits Of Their Experience. Human Resource management encompasses employee’s career life cycle from pre-recruitment to post-retirement across staffing, training, performance management, employee engagement, reward and recognition programs and processes. Any Organization whether a Manufacturing or a Services Brand or An Recruitment firm Or HR Consultancy organizations, in a race to gain competitive edge HR plays an important role to transition workforce adapt to ever changing environment. National Institute of Personnel Management (NIPM) defines HRM as “that part of management which is concerned with people at work and with their relationship within an enterprise. Its aim is to bring together and develop into an effective organization of the men and women who make up enterprise and having regard for the well – being of the individuals and of working groups, to enable them to make their best contribution to its success”. While each business function within any organization like - Manufacturing, Quality, Sales and Distribution, Purchasing and Warehousing, Information Systems, Administration handles specific aspects, only HR traverses beyond and goes a step ahead to involve Human Resources and their efforts, contribution, ideas and constantly motivates them to assist in the sustained growth and development of the organization. "Humans" are THE EPICENTRE of all HR functions - and with the vagaries of moods, perceptions, attitude, emotions pose a serious challenge to HR professionals to channelize their energies productively once they enter the portals of any organization. Without humans, the whole organization becomes lifeless, inorganic and unproductive! Personal factors: In general, all of us react to all events and sometimes overreact! From the context of a workplace, all such reactions will impact productivity either favorably or otherwise. HRM should create an environment which balances the thoughts and actions to be in a stable rhythm for consistent behavior and productivity. Social and group dynamics: HR significantly influences the social and group dynamics of the individual. There are extroverts and introverts, in general. HR shapes and moulds persons of both the types to be sociable optimally so that extroverts do not overpower introverts. HR plays a role of balancing the communication within the organization! Multicultural exposure: HR function is in the forefront of enabling a smooth multicultural environment in which members can bond well with colleagues across different cultures - both regional and national. Team work: HR devises programs and methods to promote teamwork and bonding. Many of us may be individual contributors to the organization and willing to work alone, but HR goes a step ahead and devises team events which promotes mutual empathy and objective orientation. Behavioral and personality development: HR provides a platform and training for improving behavioral and personality development aspects of employees. Programs like stress awareness, motivation, leadership, interpersonal relations, emotional intelligence devised by HRM function greatly benefits the organization to supplement the skill sets of employees. Messengers of organizational policies and practices: HR plays a pivotal role to spread awareness about organizational policies which are directed to enhance the performance of workforce through reward and recognition programs. Likewise, HR group proactively helps various operations group(s) to handle sub-standard performance of few employees. In this process, HR group counsels the employees / operations departments to handle exceptions in a graceful manner. To conclude, it is evident that HR function covers all "Hierarchy of Needs" as expounded by Abraham Maslow – i.e. : Physiological, Safety, Social belonging, Self esteem and Self actualization - thru a variety of organizational programs and processes. HR acts as a strong connecting and focal nerve center of the organization to deal with the complexities and ever changing dynamics of human behavior. HR as a function has endless possibilities to device strategies for dealing with complex and layered thinking of humans who come together in an organization for a common mission! - HR thus occupies a strategic role in every organization. I love HR ............ Are U????? Hope this article will help you understand the HR Profile. Tune up with us for more on HR related Career. V4 Solutions has helped many professionals to develop their career in HR Gamut and acts as a great platform for both jobseekers and organizations to find their relevant job matches. Please follow us on Linkedin & Facebook and Subscribe us for for Career Tips, Counselling, Resume building and recruitment services and job opportunities for manufacturing, Services and FMCG Sectors.